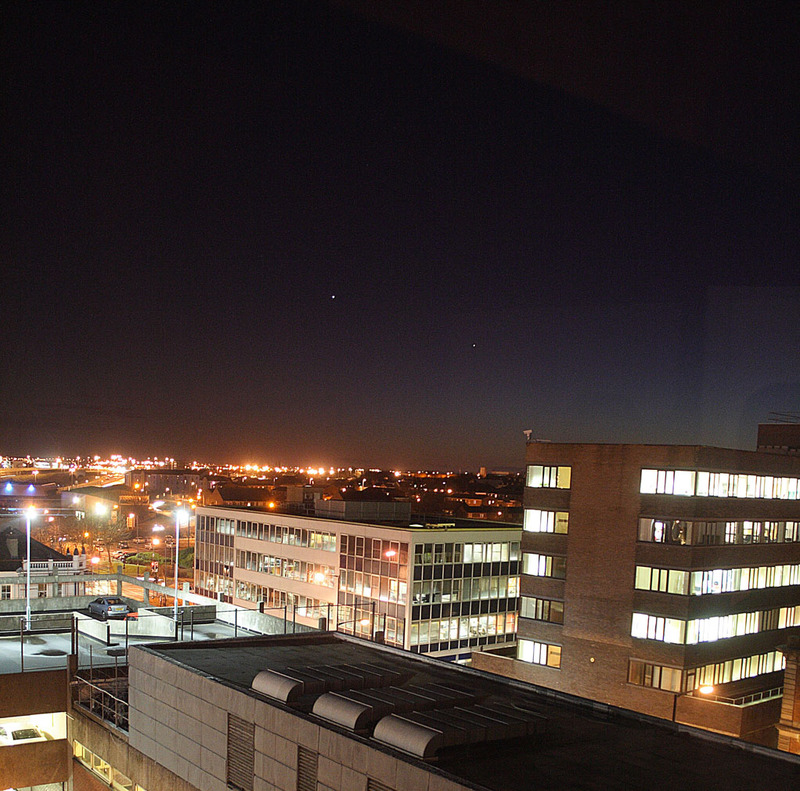 DDAS member Chris Newsome took this picture of Venus and Jupiter from Stockton on Tees on the 9th December 2008. He used a Canon 400D camera with an 18 mm lens, 800ASA, and 0.6 second exposure. Compare with his picture taken 10 months earlier shown below this one. 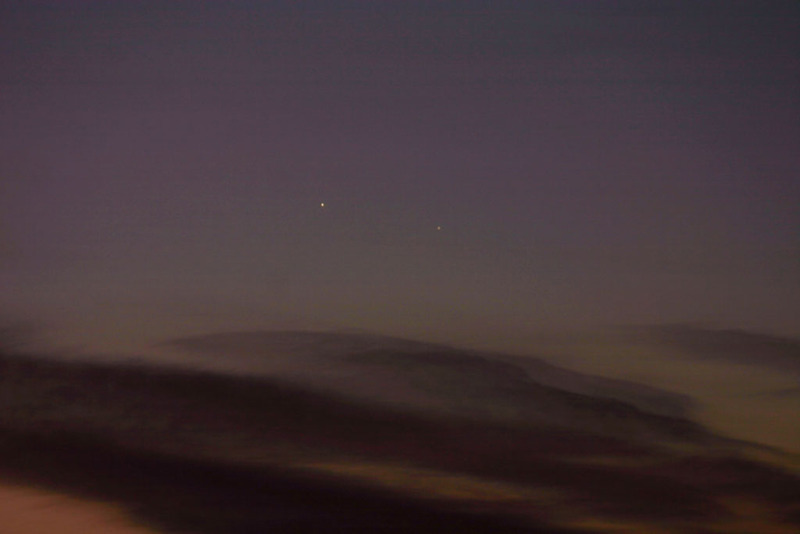 Chris Newsome took this image of Venus (at left) and Jupiter in the early morning of the 2nd February 2008. He used a Canon EOS 300D camera with a 200mm lens at f/6.3 and a 1/20th second exposure at 100ASA.